Starting its animated life as a 7-episode, direct-to-video OAV series in 1988, prompting a 47-episode TV series, a second 16-episode OAV series and the first movie version the following year, the world of Patlabor was originally created by a group known as Headgear, which included Mamoru Oshii, Masami Yuki, Kazunori Ito, Yutaka Izubuchi, and Akemi Takada among its members. The original manga conceived by Yuki in the early 1980s was published simultaneously with the release of the first series. Adding humour and social comment into the mecha mix, Patlabor sits proudly among the role call of the most popular and important cult anime series of its era. Its stage is an futuristic-looking Tokyo just before the turn of the 21st century, where rising sea and population levels have prompted mammoth urban redevelopment and the creation of a large manmade island in Tokyo Bay as part of the controversial Babylon Project. The construction is undertaken by giant humanoid robots known as Labors, controlled by the human worker inside them as if they were sitting in a truck cab. The stories all focus on the members of Special Vehicles Division 2, a law-enforcing unit formed to combat all crime undertaken using the Labor machines. This Mobile Police force is a hideously under-funded body cobbled together to take care of new crimes that emerge from the widespread use of this new technology, and, made up of a colourful selection of techno-geeks and misfits, is an organisation that few in the general public or the world of officialdom take wholly seriously. Rather than the robots that they pilot, it is this diverse and richly defined collection of characters (including Noa, Asuma, Shinobu, Shige, Kanuka, and Oda) that form the core appeal for fans, with the focus on the different characters in the group changing with each story. In the first movie version, a spate of recent incidents of Labors rampaging out of the control of their operator is tracked down to a fault in their newly installed Hyper Operating System released by Shinohara Heavy Industries. The original programmer Eiichi Hoba spectacularly committed suicide by jumping into the bay. However, his body was never retrieved and all personal information has been scrubbed from his employment records, and neither the Shinohara company nor the government who have invested heavily with public money in the project seem willing to acknowledge the problem. Then the Patlabor team discover that the bug is in fact an act of wilful sabotage by Hoba to impede the ceaseless construction by turning machine against machine and tearing down the city. The bug is triggered by the high-pitched sound of wind whistling through tall buildings, and guess what, there's a typhoon heading straight towards Tokyo. 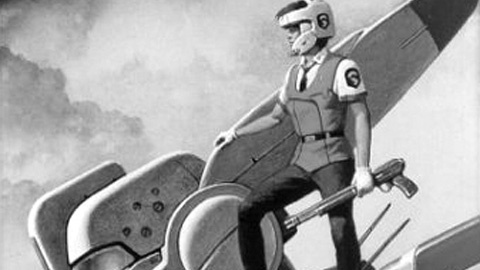 Aside from being a great series in their own right, the main claim to fame for Patlabor is that it represents a pivotal work for director Oshii and his regular team of composer Kenji Kawai and scriptwriter Kazunori Ito (they also collaborated on the live-action feature Red Spectacles in 1987). The first two Patlabor features saw Oshii moving away from the more action-based nature of the OAV and TV series, though retaining the characterisation and dramatic structure that would be increasingly left behind with the more abstract allegories of his later work. 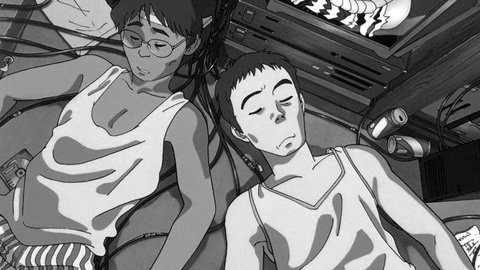 Though the story stems from Yuki, typical Oshii elements remain - man at the mercy of machinery; mistrust of authority in the form of large, faceless government and corporate agencies; the rapidly changing face of the city; an invisible virus taking control of large machines; computer systems spitting out Biblical texts as they go haywire; and references to dogs (with their ultrasonic hearing). 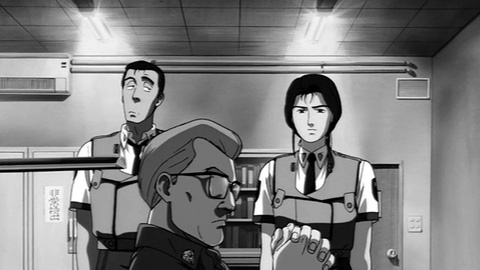 Visually, the detailed designs pursue the same realistic cinematic goals so prevalent in anime from the late 80s onwards, mimicking camera effects such as wide-angle lens shots in several scenes, though like most works from this pre-CGI era, the animation doesn't quite look as impressive as it once did. But though largely devoid of spectacular action sequences, in general this theatrical outing is far more accessible to the casual viewer than Oshii's later works. 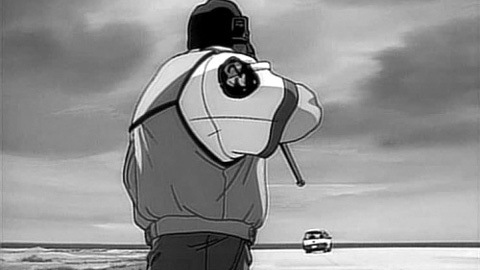 Mamoru Oshii directed the more ambitious Patlabor 2: The Movie in between his second live action feature Stray Dog: Kerberos Panzer Cops (Keruberosu: Jigoku no Banken, 1991) and his international breakthrough Ghost in the Shell. WXIII: Patlabor the Movie 3 eventually surfaced in the summer 2002, directed by Takuji Endo with Fumihiko Takayama acting as directing supervisor, with a script adapted by Tori Miki from an original story by Yuki, with Oshii's final contribution to the Patlabor world restricted to writing the three spoof Mini-Pat short animations that accompanied the release of this third feature.